Real Madrid fired coach Rafa Benitez after only seven months on Monday and replaced him with its former star player Zinedine Zidane. 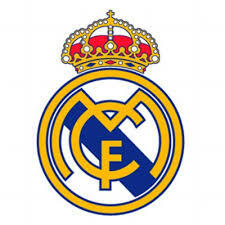 Club president Florentino Perez announced the decision at Santiago Bernabeu Stadium on Monday, a day after Madrid’s 2-2 draw at Valencia deepened a crisis that started with an embarrassing 4-0 home loss to rival Barcelona in November. Madrid has won seven of nine matches since the demoralizing defeat to Barcelona, but fans continued to demand the departure of Benitez, whose Liverpool side won the Champions League in 2005. Real Madrid is third in the Spanish League, four points behind leader Atletico Madrid and two behind Barcelona, which has a game in hand. France soccer great Zidane, who was Carlo Ancelotti’s assistant in 2014 when Real Madrid won the Champions League, has been coaching Madrid’s “B” team in the third division. Zidane was at the Bernabeu with his wife and four kids. “I’m more emotional now than when I signed as a player,” said Zidane, who ended his career at Madrid in 2006. It will be the first major coaching job for the former playmaker, whose career was marked by greatness on the field but also by his head-butting of an Italian defender in the 2006 World Cup final. Zidane leaves Real Madrid Castilla in second place in the third division, with 37 points from 19 games. Perez had supported Benitez since the Barcelona loss, saying the Spaniard “was the solution, not the problem,” to Madrid’s crisis. But fans kept showing their discontent even in an 8-0 win over Malmo in the Champions League and a 10-2 rout of Rayo Vallecano in the Spanish League. They also were not happy with the team’s embarrassing elimination from the Copa del Rey for using an ineligible player. Zidane’s name was mentioned by Spanish media every time Real Madrid struggled. The 43-year-old former playmaker kept dismissing the possibility of taking over Benitez.